Dustless blasting has shown itself to be more cost-effective, versatile and environmentally-friendly than conventional dry blasting methods, whilst also achieving better results in a huge range of different applications. 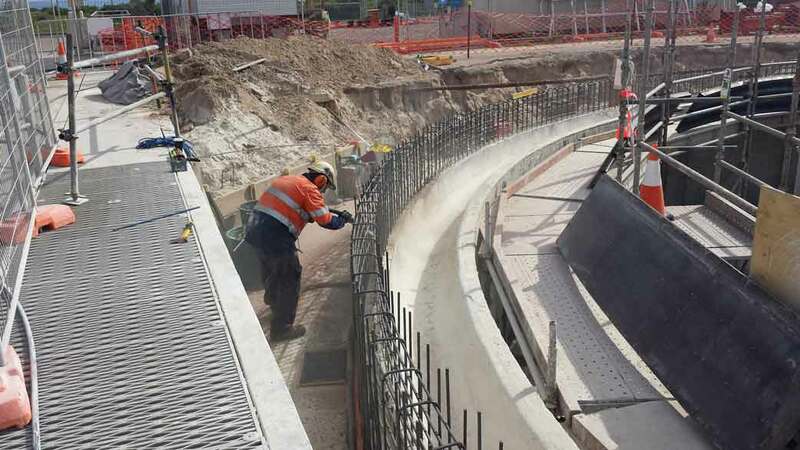 We have used our dustless blasting equipment and machines throughout Adelaide and across South Australia, working with a variety of customers large and small, and they too have come to appreciate how dustless blasting is able to achieve results that other forms of abrasive blasting can’t match. Dustless blasting is able to achieve results far more quickly than other blasting methods. This is because the blast media is contained within water and this reduces the friction when it hits the surface. The media is therefore able to penetrate and then remove corrosion, old layers of paint and/or protective coatings far more quickly. The fact that the blast media is encased in water when it is propelled onto a substrate surface means that far less heat is generated, with the result being that the potential for warping is significantly reduced. Flash rusting can present a significant problem when preparing metal structures for coating and painting, because it can set in very quickly on steel that has been newly blasted — this is even more of a problem when conventional dry blasting are methods are used. Not only does flash rusting have the potential to undermine structural integrity, but it can also cause protective coatings to fail through poor adhesion. Dustless blasting significantly reduces the potential harm that can be caused by flash rusting. Blast media is encased in water and so this means that soluble salts (the primary cause of flash rusting) are not left behind on newly-blasted surfaces. Dustless blasting effectively prepares surfaces so that new layers of paint and protective coatings can be at their most effective, by profiling and cleaning the surface in such a way that a strong anchor is created. This means that coatings adhere better and ultimately last longer. Any particles of dust or other waste that are produced during dustless blasting are encased in water and not released into the air. Likewise, there are no pools of water produced. This is significant for productivity as it means that there is no need for other work to cease in surrounding areas when dustless blasting is taking place. 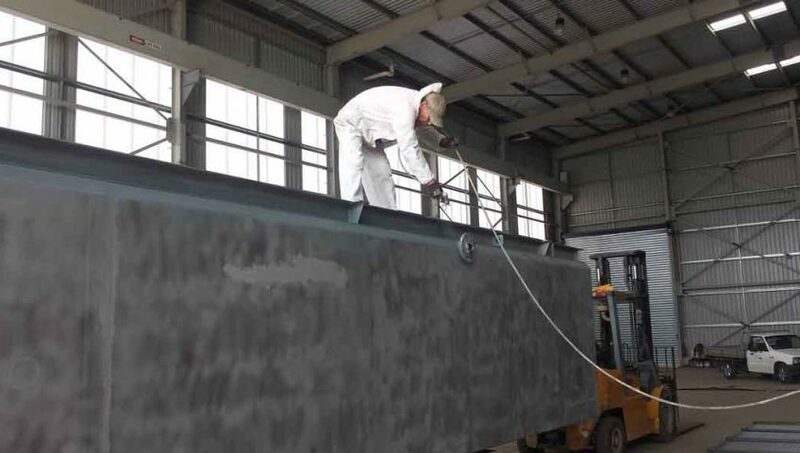 There are also reduced costs because expensive and time-consuming encapsulation of the work area is not required, while the fact that minimal dust is produced also means that dustless blasting can be carried out safely both indoors and out, leaving surroundings and other equipment dust-free too. Dustless blasting is especially effective for applications like graffiti removal, or removing line markings from roads and pathways. No matter what you’re trying to remove, whether it’s spray paint graffiti left by vandals, oil and grease stains on a driveway or car park, or thermoplastic road markings that are now redundant, dustless blasting strips them away while leaving the underlying surface intact and undamaged. This includes coatings and materials that have been designed to be resistant to water and heavy wear. There is also the added advantage that buildings, property and cars nearby don’t get affected by or covered in dust. Dustless blasting can be used for the restoration and renovation of all types of buildings and structures, and is effective at removing paint and other coatings, as well as soot, grime and contaminants, from a wide variety of surfaces. These include brick and concrete, but also more delicate materials and surfaces that may be damaged by dry blasting methods, such as timber and ceramic tiles, as well as distinctive Adelaide bluestone, sandstone and limestone. The equipment that we use, namely the Quill Falcon Kwikblast Dustless Blasting System, and the way that we work adhere to Environmental Protection Agency standards with regard to air quality, noise, water quality and waste management. Furthermore, when working outdoors and in public spaces, plants and other greenery are not damaged by excessive dust or waster being produced. Likewise, no chemicals are used in dustless blasting and so there is no negative environmental impact produced. The flexibility of the Quill Falcon Kwikblast Dustless Blasting System means that it’s suited to both large- and small-scale jobs, from blasting an ocean-going ship in preparation for receiving new protective coatings, to stripping old layers of paint from garden furniture. We offer portable dustless blasting machines for sale and hire, and these are very easy to use and set up, and can be used in a wide variety of applications around the home or workshop.